Stonewall Gazette: TV hosts share why "It Gets Better"
TV hosts share why "It Gets Better"
My buddy Sean Horlor has added his voice to the It Gets Better video project. 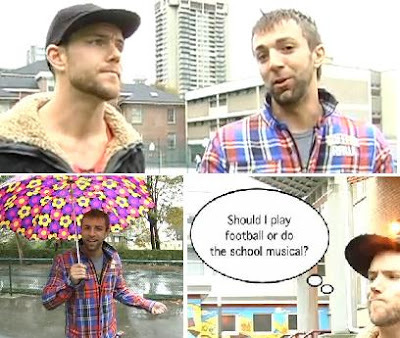 Sean co-created OutTV's Don't Quit Your Gay Job along with his good friend Rob Easton. Although the guys are known for their joie de vivre and take a somewhat light-hearted approach on a serious subject in the video, Sean shares his story of how he was bullied by a teacher in high school. Check it out below. More about Sean and Rob here.